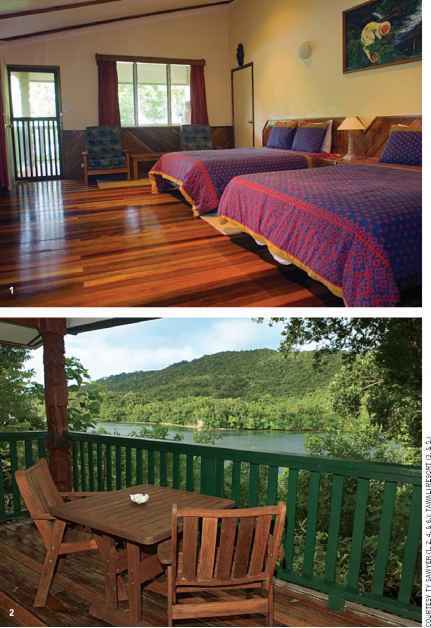 awali is the resort that divers have been dreaming of. 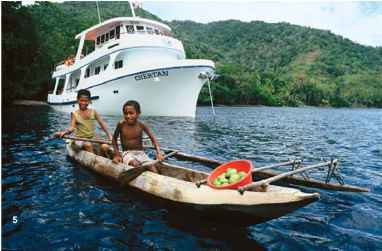 Built on a limestone bluff 80 feet above a secluded area of Milne Bay in remote Papua New Guinea, Tawali is reachable only by boat. The entire resort was constructed by local craftsmen and decorated with beautifully carved totems and Milne-Bay woodwork, some of which took two years to complete. All work was completed entirely by hand as there was no electricity in this remote region prior to the construction of Tawali. blue water deliver just the right touch of ambience. 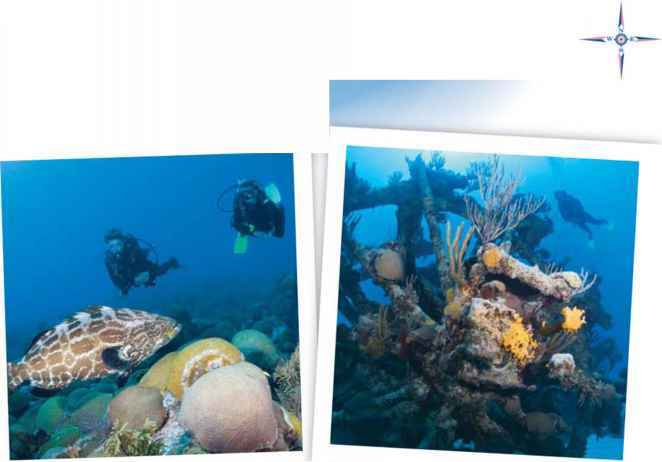 The best diving on Milne Bay with its startling diversity of marine life is just minutes away. Coastal day dives are in sheltered waters that newer divers will enjoy, and more seasoned explorers can even discover new species in Milne Bay's waters. Outer-reef excursions are a chance to dive on beautiful anemone- and sea-fan-decorated pinnacles among sharks and other large pelagics. And for those who want to venture even further off the grid, Tawali is home to the MV Chertan, a 60-foot live-aboard vessel that carries six to 12 passengers to sites rarely visited for a best-of-both-worlds combination of land-based and live-aboard diving. Tawali visitors may make up to six scuba dives a day. But there is plenty to do topside, as well. Guided tours are available of both the rainforest and the local village where many people now enjoy more prosperous lives. One very popular tour is that of a recently discovered skull cave where the skulls and thigh bones of several generations of long-departed village headmen have been collected and stored. Dinner is an event featuring constantly varying combinations of local and international cuisine. And peaceful moments abound: Sip a drink or read a book under whispering tropical trees or watch the resident pod of dolphins that visits the bay nearly every single day. 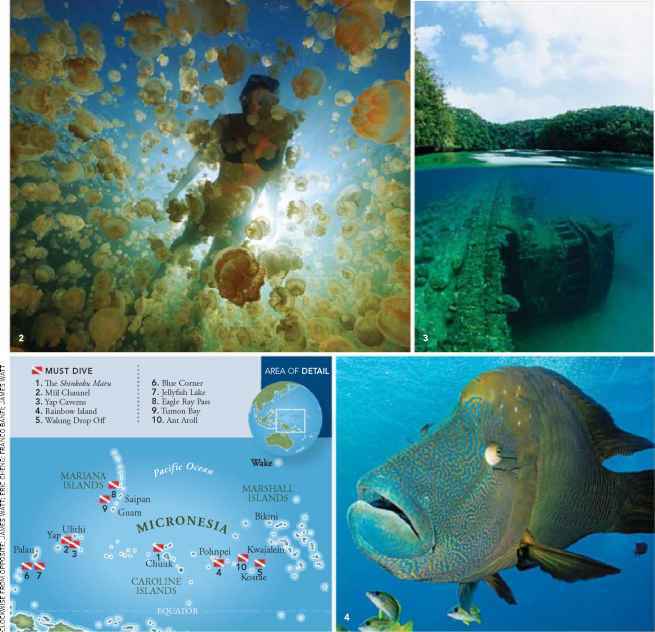 tively by dive travelers simply as "Micronesia" and are often visited and dived one after the other — a series of mini-visits that collectively form the Mother of All Dive Trips. Micronesia is the go-to place for giant mantas, giant clams and mind-blowing wall dives that — given the usually stellar visibility and staggering variety of marine life — are arguably the best in the world. And shore excursions here include amazing jungle waterfalls, local handicrafts created before your eyes, some amazing urban centers (such as Hagatna, the business hub of Guam) and the perennial question of whether you really want to try chewing a (mildly narcotic) betel nut. It's not like home. And that's what makes it great.